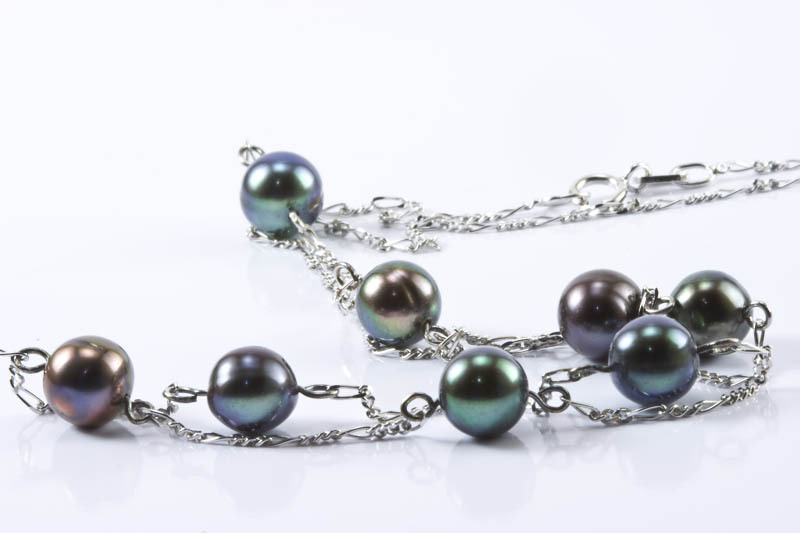 This tin cup necklace is 16" in length. 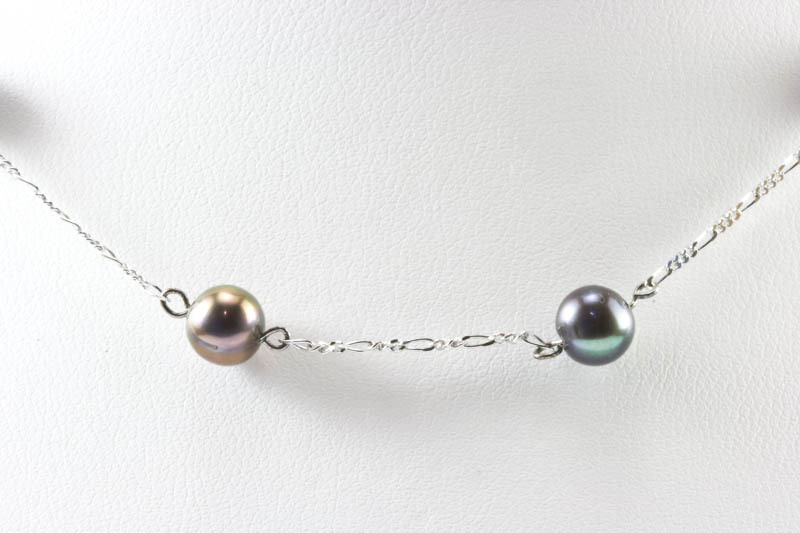 The chain is 18K.white gold ,pearls are 6mm AAA grade Japanese Akoya black cultured pearl. 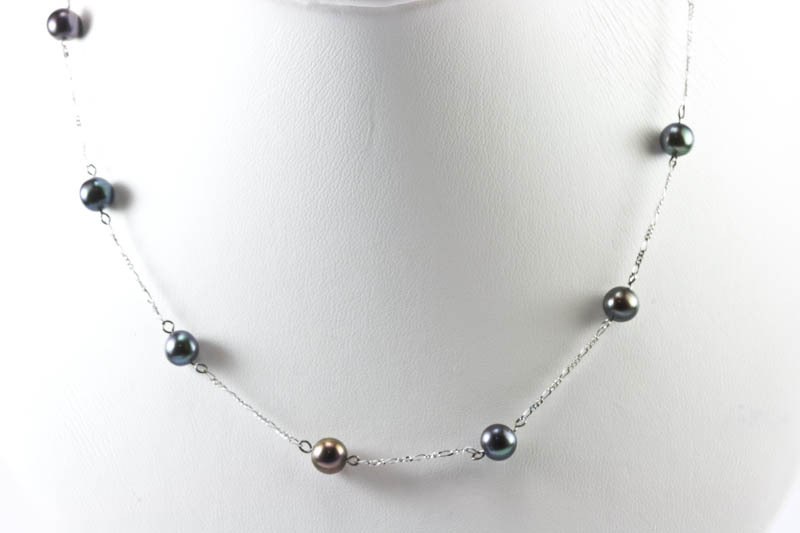 Our high quality pearls and high karat gold chain makes this tin cup necklace more elegant and more valuableness. 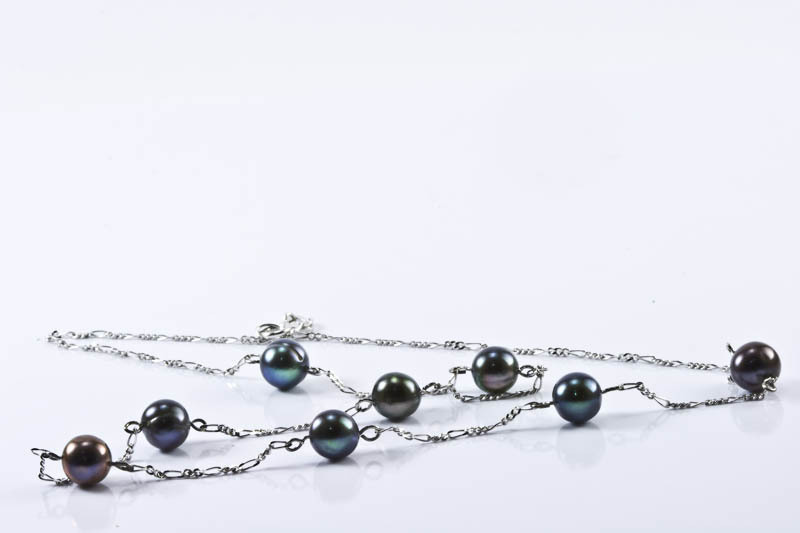 This necklace can be wore for decades. 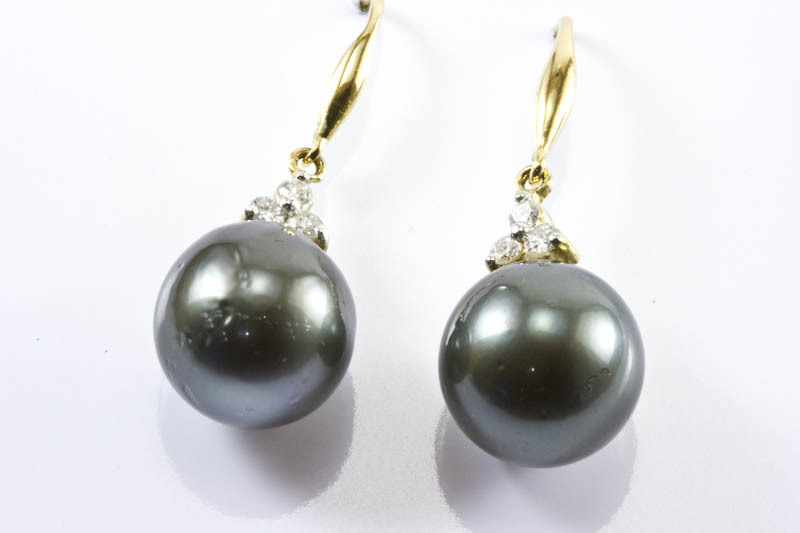 Pearls are black body color with peacock and brown overtones, perfect round and nice surface. 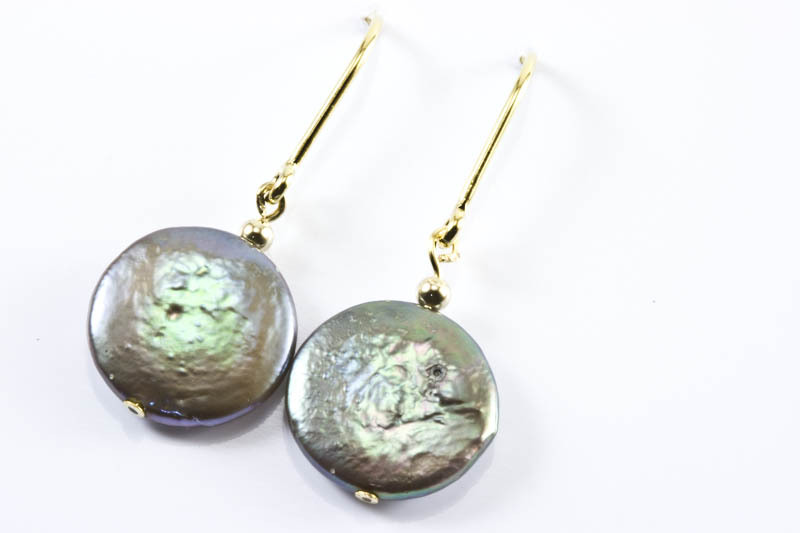 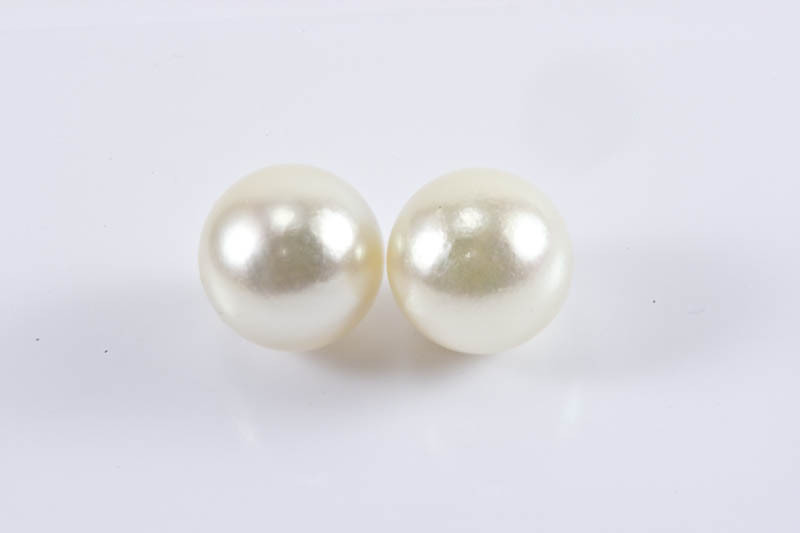 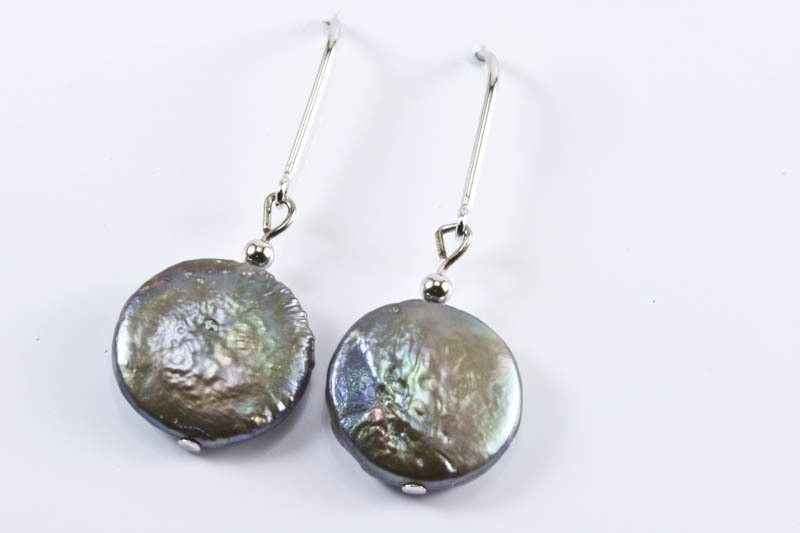 Akoya cultured pearl is the most valuable cultured pearl in the world. 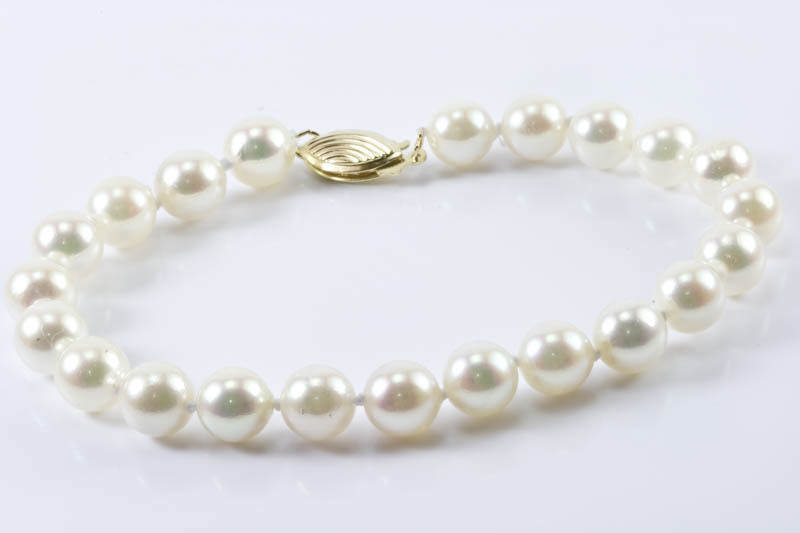 longer length of this pearl necklace are available, please choose your length.